We are driven by the belief that through research and education we can work to assure improved clinical outcomes, treatment options and a better quality of life. The Foundation for Surgical Innovation and Education relies on donations to accomplish our mission. Your support will help ensure that quality progress continues to best serve patients in the future. Innovation and progress in surgery ultimately depends on creative surgeons willing to work and develop ideas to achieve their vision. 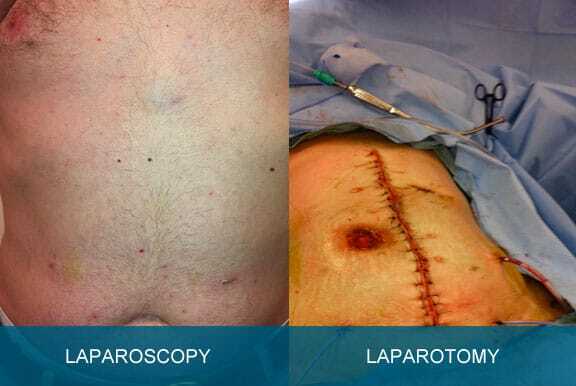 An example is laparoscopic surgery. This technology has dramatically changed the way surgery is approached in almost every aspect. Countless patients have benefitted from this advancement with less pain, shorter recovery and less days off work after surgery. When laparoscopy was introduced in the late 1980’s, fully trained surgeons all over the world needed to learn this technique. This type of evolution continues today but is becoming more and more difficult to support. FSIE was founded with the aims to provide resources and mentoring in this area of surgical development. The relationship between surgical researchers and industryToday’s healthcare environment is going through innumerable changes. One of these changes involves discouraging physician interaction with industry representatives. However, resources to develop new technology historically, almost always come from industry funding. In fact, without industry support for research and development, few ideas would be realized and progress would be severely stifled. This complex relationship between surgeon innovators and industry is necessary but fiscal constraints are impeding the ability of industry to support early development of ideas as much as they once could. FSIE provides a non-biased environment to allow idea generation and development to continue to flourish as well as to support the education and mentoring of surgeons when new techniques are available.